The Pediatric Ophthalmology Department at Sankara Nethralaya is a highly specialized, niche and advanced eye care facility offering expert diagnosis and treatment for the entire gamut of ophthalmic problems in children belonging to the age groups from ‘just born’ to ‘teens’ as well as for adults with strabismus. The department is a pioneer in treating children and was started as an exclusive facility at a time when eye care was largely dispensed to this delicate age group in a general eye care ward, alongside treatment offered to adults. It was a deep understanding that ophthalmic issues in children need different diagnostic/ treatment modalities and protocols and eye care experts specifically trained in treating this segment and a deep concern in addressing the disturbingly high prevalence of childhood vision impairments in the country, that led to the inception of this department. Today the department is a preferred treatment destination for children not only from different parts of India but also from the neighbouring countries. The capability and expertise of the department is evident by the fact that it was chosen as a preferred partner by ORBIS to screen a large number of children in rural parts of India as part of its goal towards eliminating childhood blindness globally, being accorded a pride of place in the ‘Limca book of records’ for screening the highest number of school children and the services of a senior consultant from the department being sought by ORBIS International the renowned non-profit and NGO dedicated to saving sight worldwide by engaging in prevention of blindness in developing countries through hands on training, public health education, advocacy and local partnerships to educate eye care providers in China. Around 25,000 paediatric patients are examined and treated annually in Sankara Nethralaya, of which an average of 19,000 paediatric patients are seen by consultants at the pediatric ophthalmology department. Around 450 pediatric cataract and 700 squint surgeries were performed in the department in year 2017 alone. Paediatric Optical Service State of the Art vision check is carried out for children at the well equipped ‘Paediatric optical service’ wing. A good collection of colorful, attractive and quality spectacle frames and glasses (Essilor) designed specifically for children are available. 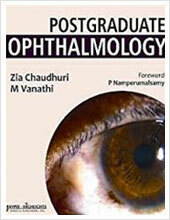 The Paediatric Ophthalmology fellowship was started in Year 1993. The goal of the fellowship program is to provide wide and extensive exposure to real time clinical care coupled with research activity and academic stimulation to train the next generation of leaders in this field. The applicant must have completed Post Graduation (DNB/MS/MD) in ophthalmology from a recognized university and must be registered with the Medical Council of India. Candidates employed elsewhere should produce a ‘NO OBJECTION CERTIFICATE’ (NOC) from the employer and produce it along with the relevant original certificates, at the time of the interview. 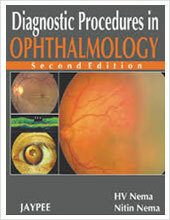 Candidates possessing a ‘Diploma’ in Ophthalmology are not eligible to undergo Fellowship. Selection Process: The selection process involves a Multiple Choice Objective theory examination followed by a personal interview. Selection process is scheduled in the month of February and August ever year. The fellows are expected to have clinical, analytical and surgical skills in pediatric patient care. The fellow is supervised in the clinical and surgical evaluation of patients and participates in surgery. The fellow is trained in evaluation processes like history taking, clinical examination, Orthoptics evaluation of both children and adults with strabismus. He/she is also expected to gain experience in various paediatric ophthalmology outpatient procedures etc. The fellows will have opportunity to assist and perform various surgical procedures like Pediatric Cataract and Strabismus and given exposure to treating Ptosis, retinopathy of prematurity(ROP) and probing. The fellows are expected to attend educational conferences hosted by Sankara Nethralaya. There will be a weekly academic meeting with a Journal presentation by one of the fellows in rotation +. In addition fellows may have to present interesting and difficult cases for discussion in these meetings. 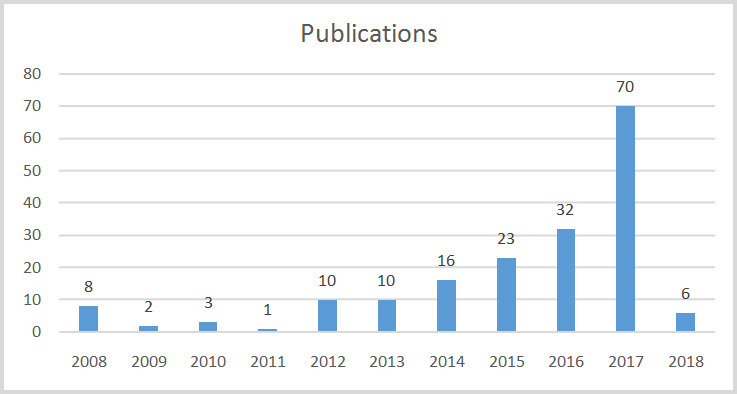 He/she will have to keep himself/herself updated about the new developments in the field by reading the latest journals that are available in our library. Fellows should maintain a logbook which will be evaluated by the academic director periodically. Each of the fellows will be assigned one project to be completed during his/her fellowship under the mentorship of a consultant. The project report will be part of the presentation during graduation. The basic goal of this project is to build capacity to reduce avoidable childhood blindness in India. The main objectives of this project are to improve knowledge and skills of 72 pediatric ophthalmic and paramedical personnel and enhance the quality of pediatric eye care provided in at least 3 tertiary eye hospitals, by the end of three years. By the end of the project 19 - Pediatric ophthalmologists (12 Months each), 19 - Pediatric Anesthetists (1 Month), 36 – Optometrists / Orthoptists (6 Months) 33 – Pediatric Nurses (3 Months) and 8 observers (1Month) were trained. ORBIS ‘Refractive Errors Among Children’ (REACH) PROJECT: Is a joint initiative of Orbis international and Qatar Development Fund which seeks to reduce visual impairment due to uncorrected refractive errors among children in the school going age in 15 districts across the nation. The Orbis Reach initiative targeting school children in Kanchipuram district in Tamil Nadu was launched in September 2017with Sankara Nethralaya as the local partner. The aim of this project is to screen 300,000 children enrolled in government schools for refractive errors, which is the most common cause of visual impairment in children. Children screened under this project would be provided free spectacles. In addition they will also be referred to Sankara Nethralaya’s base hospital for cost free treatment if they are diagnosed for complex eye problems requiring surgical intervention or special services like low vision care service. Orbis Reach project also has a research arm within its ambit. Dr Meenakshi Swaminathan took the initiative of working with Ms Appaswamy associates to make available 0.01% atropine a revolutionary treatment for Myopia, in India. This drug was launched as ‘Myopine’ on 14th November 2017, by Dr T S Surendran, Director-Pediatric Ophthalmology Department. This preparation is effective in retardation of progression of Myopia in Children in the age group of 6-12 years. Department of pediatric ophthalmology is also participating in a multi-centric study to assess the efficacy of this drug in Indian children. Jayalakshmi L, Kalpa N, Srikanth R. Cycloplegic Refraction in Children, Sci J Med & Vis ResFoun 2014; XXXII: 30–32. 1. Dr Surendran, Dr Sumita Agarkar, Dr Meenakshi, Dr Kavitha Kalaivani, Dr Srikanth Ramasubramanian, Dr Akila Ramkumar ) - Chief Contributors in the development of the book “Preferred Practices in pediatric ophthalmology for India” in collaboration with ORBIS. 2. Meenakshi Swaminathan, Srikanth.R. Chapter 23 . 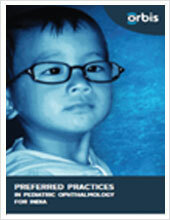 Frequently Asked Questions in Pediatric and Adolescent Practice. 1st Ed. 2015. Jaypee Brothers. 3. AIOC ready Reckoner: Paralytic Strabismus. Swaminathan M. Ramasuramanian S.
6. 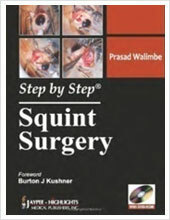 T S Surendran, Meenakshi Swaminathan, Srikanth R. Chapter 22 (Ophthalmology). In Case scenarios in pediatric and adolescent practice (CSIPAP). 1st Ed. 2014. Jaypee Brothers. 7. T S Surendran, Meenakshi S, R.Srikanth et al. Section -18. 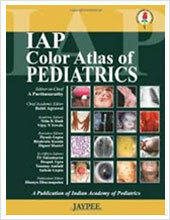 Ophthalmology .In Indian Academy of Pediatrics – Colour Atlas of Pediatrics (IAPCAP) 1st Ed. 2012. Jaypee Brothers. 8. 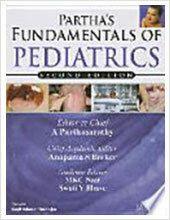 T S Surendran, Meenakshi Swaminathan, Srikanth R. Chapter 24 (Ophthalmology).In Partha’s Fundam’entals of Pediatrics. 2nd Ed. 2012. Jaypee Brothers. Dr T.S.Surendran has served as the President of Strabismological society of India. He has received several prestigious awards including the Lt. Col. Rangachari Award for the paper titled 'Paediatric Portable Keratometer’, presented at the All India Ophthalmic Society at Ahmedabad in 1990, “ Best Doctor “ award for the year of 2011 awarded by Government of Tamil Nadu on 25th Nov 2011, “Excellence award” from the Strabismological society of India on 2nd Dec 2012 and Lifetime Achievement Award at the Annual Conference of the SPOSI ( Strabismus and Pediatric Ophthalmology Society of India on 14th December, 2014 at Pushkar, Rajasthan. Recently in 2017 he was the recipient of MAYAN award by Vista India for service towards socially and economically underprivileged community, and Dr. Jhamwar Medal Award at Goa. Dr Meenakshi Swaminathan, Senior Consultant and Academic Director was chosen to train pediatric ophthalmologists,facilitate the adaptation of ICO’s curriculum in China under ‘Children’s healthy eyes bring educational reward’ (CHEER) project, a joint initiative between ICO and ORBIS, China chapter on August 2014. Her other awards include Dr S.S. Badrinath Medal of Honour 2013, Capt. Subramaniam best video film award at TNOA-2006. A presentation by Dr Akila Ramkumar, titled ‘Amblyogenic risk factors in children with congenital nasolacrimal duct obstruction’ was adjudged as the ‘Best Paper’ and a presentation titled ‘Axenfeld – Rigger’s anomaly-A rare association with Nanophthalmolos’ was adjudged as ‘Best Case presentation’ at the Fusion 2012 held at the Hyderabad International Convention Center.